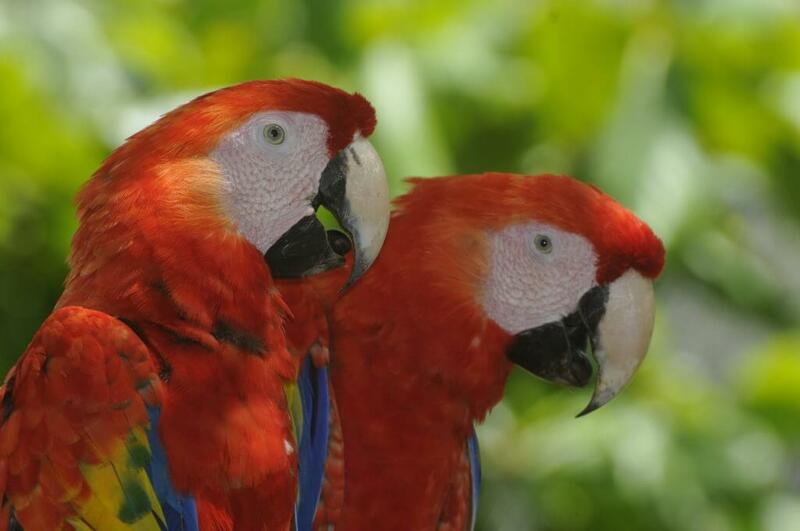 NATUWA, Macaw Conservation Sanctuary carries a captive breeding program with Costa Rica’s macaws. Also, the Sanctuary rescues, rehabilitate and release the macaws back to the wild. 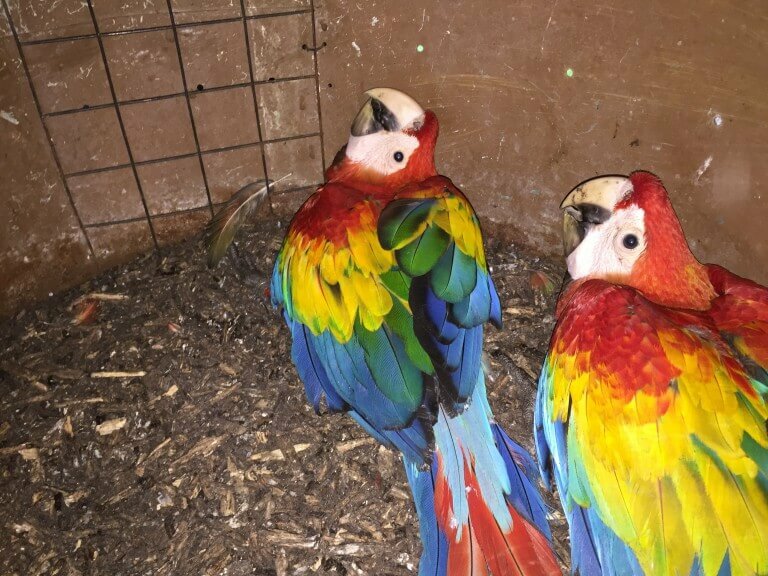 Many birds are confiscated by the Ministry of Environment and Energy (MINAE). The Animal Sanctuary is possible with the support of Volunteers (Visit our volunteer program), Education, Ecotourism programs and communities around the animal sanctuary. 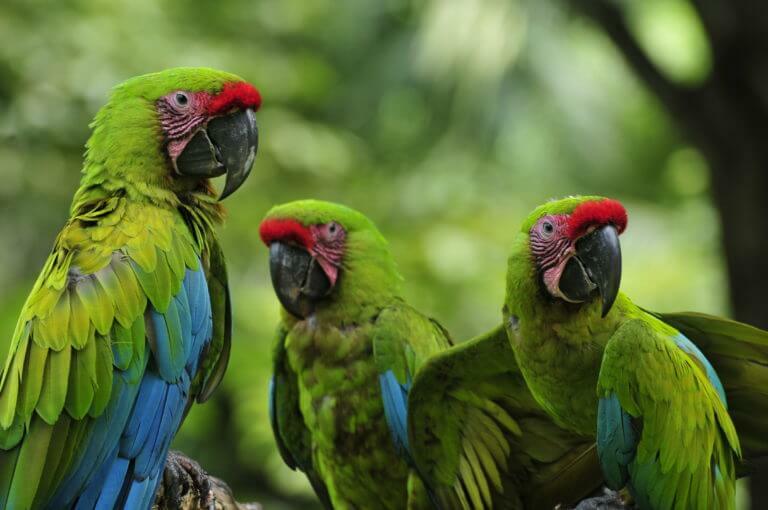 NATUWA develops a Macaw Conservation Program with Ara macao. NATUWA develops a Macaw Conservation Program with Ara ambiguus. The conservation of Costa Rica’s macaws is important to keep intact the functions performed by these wonderful birds in the ecosystem. The dispersion of seeds and their destruction, is part of their daily life; we could also say that they participate in processes of vegetation healing, thus, keeping the forest healthy. In addition, these biological gems, are a natural resource of the following generations; they are part of the natural heritage of all Costa Ricans. The reproduction in captivity of the scarlet macaw is unnecessary, according to scientific findings by researchers from the University of Costa Rica (Article: Reproduction of red macaws in captivity in Costa Rica is unnecessary). The main populations, both Carara National Park and the population in Peninsula de Osa, are able perpetuate their species because they have diversity in their genes., scientists recommend that populations continue to recover naturally. NATUWA, does not reproduce these birds in captivity. Rather, it conserves the parrots devoting efforts in combating the looting of nests and the illegal trade of chicks, works with the local communities in the installation of artificial nest for the wild scarlet macaws (Ara macao). Also, in the restoration of the habitat that these birds require. With our macaw management program, we provide assistance to the government of Costa Rica, rehabilitating those offspring that have been confiscated both in the Carara National Park, and Ara macao cyanoptera offspring from the North Pacific and other areas of the country. 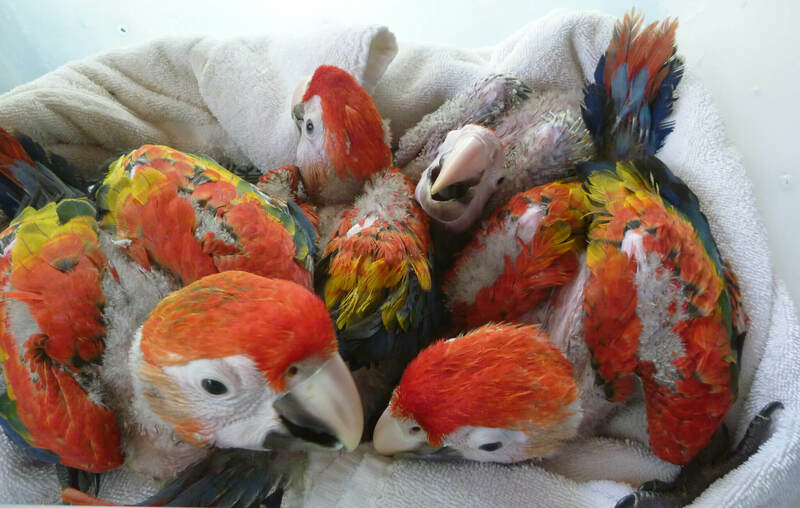 For the confiscated macaw chicks that have been victims of illegal trade, our Macaw Management Program provides adequate conditions for these parrots to learn the survival skills of adoptive parents. Something that the confiscated macaws did not have before. These skills are only learned through limited interaction with humans. 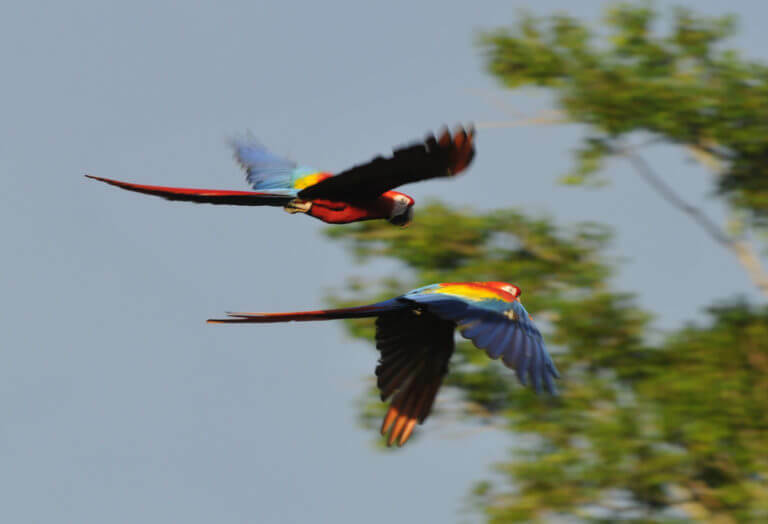 In that way, we get completely wild macaws to let them fly forever in their natural environment. 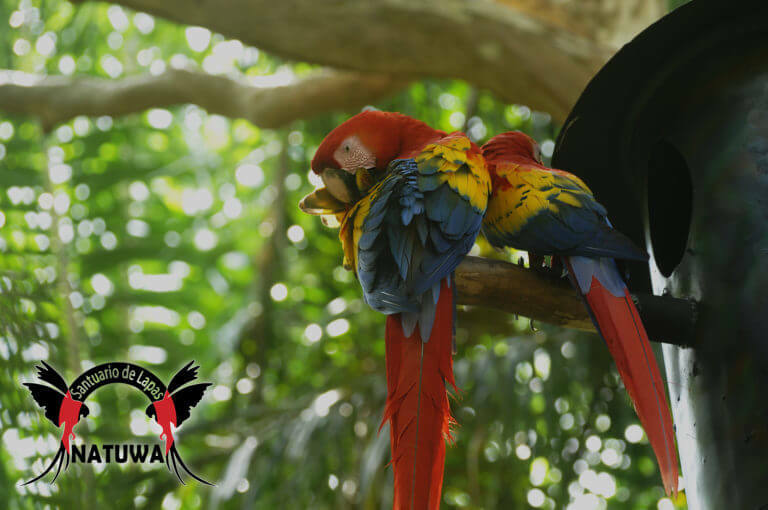 As part of the tasks of the conservation program of the macaws in Costa Rica by NATUWA, is to generate awareness to conserve the macaws in their natural environment. These beautiful colorful birds, require the help of the human being not only keeping them free, but, restoring their habitat. Due to the lack of natural nests in their habitat, NATUWA provides artificial nests where they can raise their chicks, an activity that is combined with the community. The community takes care of the nests, preventing them from being looted, a task that is vital for the macaws to have reproductive success. 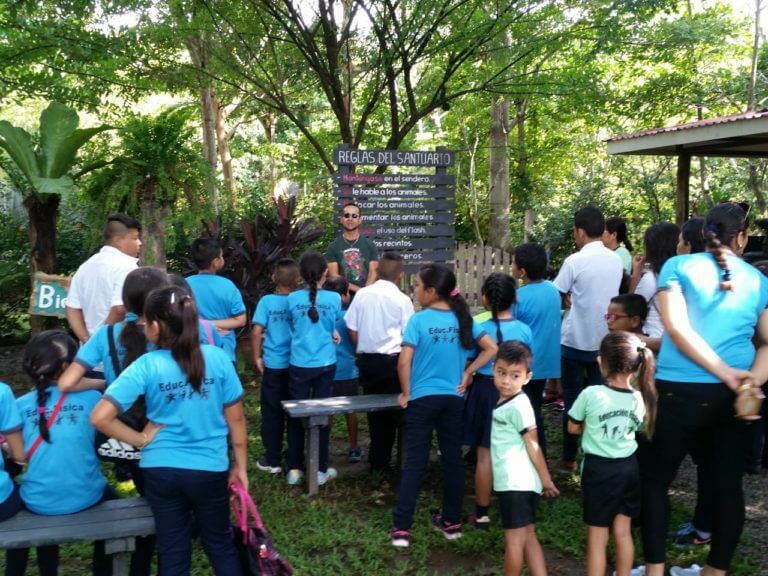 The Macaw Sanctuary NATUWA participates in the education of university students. Such as, the Universidad Técnica Nacional (UTN), Universidad Estatal a Distancia (UNED), Universidad Nacional (UNA). Through collaboration with their research towards their graduation theses. Also, amongst the theses completed are the following: Generation of Protocol for the Prevention of Parasites, Environmental Enrichment Techniques for Macaws, Environmental Education Program, Analysis & Correction of the Diets of the Santuary’s Animals, etc. NATUWA, develops a macaw conservation program, teaching the communities ecotourism alternatives to generate a better local economy so keep the wild macaws protected. 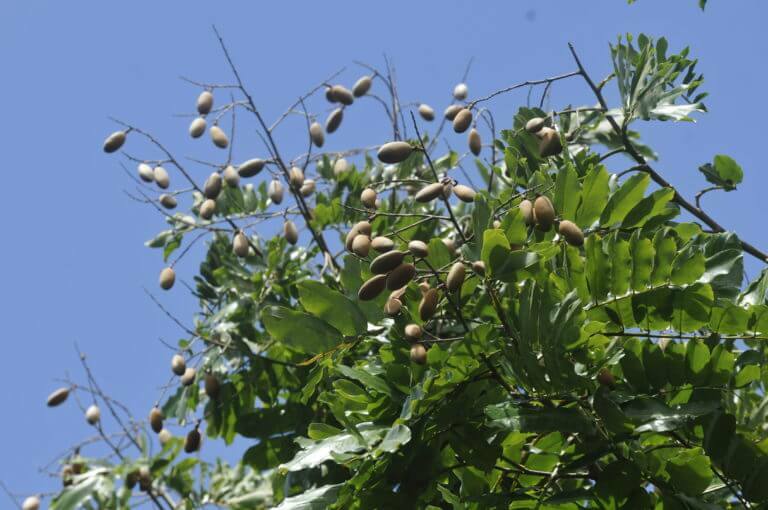 Native trees such as jabillo, guayacán, surá and jobos have been planted in the lands of the Sanctuary. As a result, they generate a refuge for wildlife in the area and for animals that can not be released. This vegetation provides a beautiful natural spot that the macaws enjoy and that enlightens the community. The trees planted provide natural food for the macaws. Find us in Google maps ! !